The prevalent trend in the overseas market in 2012 was fence sitting. Uncertainty over the Eurozone, Greek bailouts, and, at home, plans for the so-called ‘mansion tax’ (a levy on properties priced at more than £2 million) loomed large and had a detrimental effect on transactions. Despite this, and although new build schemes remain scarce, some resale markets began to warm up during the final quarter of last year, and agents are hopeful that this momentum will continue into 2013. Knight Frank‘s James Price sees the current market as tripartite, with a top tier of trophy properties-one-off homes of international interest, such as prime city-centre projects built by notable architects. Below this are well-established locations, as the French Riviera and the Swiss and Italian lakes. Beneath these, he says, ‘we see over-built areas such as the southern Spanish costas, Dubai and southern Florida bringing back the “bottom feeders” to the market, scenting the first signs of recovery’. But what are going to be the real buyer hotspots of 2013 across these strata? The Côte d’Azur tops most people’s predictions. 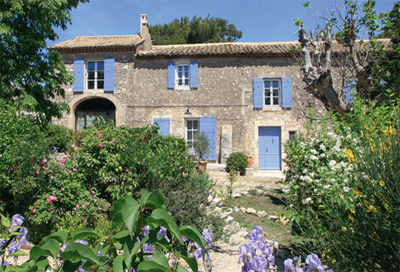 ‘Stable and desirable, it’s still by far the most sought-after place, and has been throughout the global crisis,’ explains Andrew Hawkins of Chesterton Humberts International, who adds: ‘We’re seeing buyers move westward, towards the Languedoc and Tarn, seeking value.’ According to Charles Weston Baker of Savills, buyers from oil and gas countries, along with those from Mexico, Brazil and China, fuel demand at the very top end of the Riviera market. ‘Above the €10 million breakpoint, there’s little for sale, but there’s quite a lot below,’ he notes. In particular, he’s seeing ‘a sudden resurgence of interest in the Valbonne area’. For Winkworth‘s French office, the focus is set to be on Saint-Jean- Cap-Ferrat, Villefranche-sur-Mer and Nice, along with the Les Alpilles area of Provence and the Haute-Savoie. ‘In the Haute- Savoie, Saint Gervais is one to watch, now that a new bridge will divert traffic away from the resort’s congested centre. A pretty four-bedroom chalet there costs €1.5 million, against €6 million in Megève,’ says Roddy Aris. Elsewhere in France, Tim Swannie of Home Hunts expects much interest in vineyards: ‘We have a lot of clients-Chinese, Russian and European-coming over in the New Year to Bordeaux, Languedoc and Provence.’ Although France is very much on the map of global buyers, Michael Valdes of Sotheby’s International Realty notes that a good number of affluent French residents-faced with a proposed new tax on €1 million-plus earnings- are moving to Switzerland, Belgium and other countries with benign tax regimes: ‘We’re looking to expand into countries such as Andorra and Malta.’ Chesterton Humberts also believe Malta is a destination to watch in 2013, but other agents tip Ibiza as the hottest Mediterranean island market. ‘It’s got more chance of survival than anywhere in Europe,’ believes Aylesford‘s Andrew Langton. Cathy Ouwehand, Savills’ Ibiza associate, also saw a buoyant 2012. ‘The White Angel apartment development in Ibiza marina has been a huge success, with 38 out of 67 units sold [off-plan] from its launch in July 2012.’ She now plans to launch some new villas in the Cala Conta area. Further west, in the Algarve, the €3 million to €6 million market is ticking over. ‘But it has to be Quinta do Lago, not the Atlantic side,’ says Penny Mosgrove of Quintessentially Estates. ‘As non-EU buyers can now get residency if they invest €500,000, we’re getting a lot of interest from the Middle East, Russia and Asia.’ Mallorca- especially €1.2 million to €2 million properties in and around the yachting haven of Andratx-is another of her predicted sweet spots for 2013, and First Mallorca says that its highest sales by volume are Palma apartments in the €400,000 to €500,000 price bracket.‘Business has been building throughout 2012 and suggests a positive 2013,’ advises CEO Robert Maunder. Barbados is another perennial favourite that’s likely to remain strong, according to Mr Weston Baker. ‘The Caribbean market is two-thirds Barbados for us,’ he says. ‘In 2012, we had 40-50 sales in Barbados right across the price spectrum, with the average sale priced at £1 million to £1.5 million.’ Staying stateside but heading north, southern Florida is also showing signs of recovery. Knight Frank report a lot of new interest in Miami and Palm Beach from South America, and Christie’s International Real Estate also point to recent demand from Russia. Miami has been very hot in 2012, one of the hardest-hit markets that has recovered very quickly from the downturn, relate several agents. Alongside Miami’s revival, Christie’s expects to see a couple of new hotspots emerge in South-Eastern Europe and the Middle East: Istanbul and Tel Aviv. Sales to foreigners in Istanbul are projected to nearly double in 2013, on the back of the Turkish market opening up to the Middle East and former Soviet countries. Savills also cite Bodrum, on Turkey’s south coast, as a growing destination, thanks to both strong domestic and international demand. Similarly, Tel Aviv, in Israel, is garnering increasing interest from luxury buyers. Cities do seem to figure strongly in international agents’ outlook: Savills have launched a city investment portfolio (Berlin, New York, Paris and Rio coming on board in 2013), and many talk about the return of the Dubai market. ‘It’s just beginning to turn, and demand is steady for the premier place to be in the Arab region,’ concludes Alex Upson of Cluttons Resorts.